Most people look at bridges as a means to an end, and for thousands of years they were. They connected cities, countries and kingdoms, helping them grow and prosper. But some bridges can be described as an architectural wonder. Why not cross rivers or even seas in style? It was the first permanent stone-bridge connecting Pest and Buda, and only the second permanent crossing on the whole length of the Danube River. 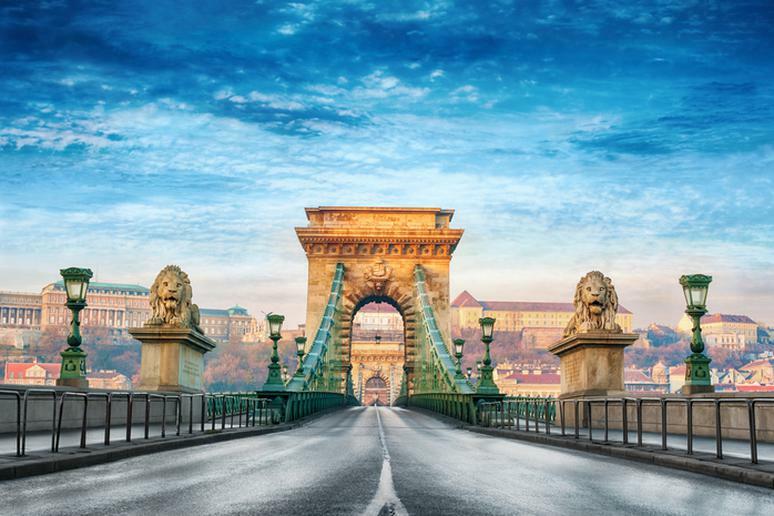 It is one of the symbolic structures in Budapest and the most famous bridge in the Hungarian capital. 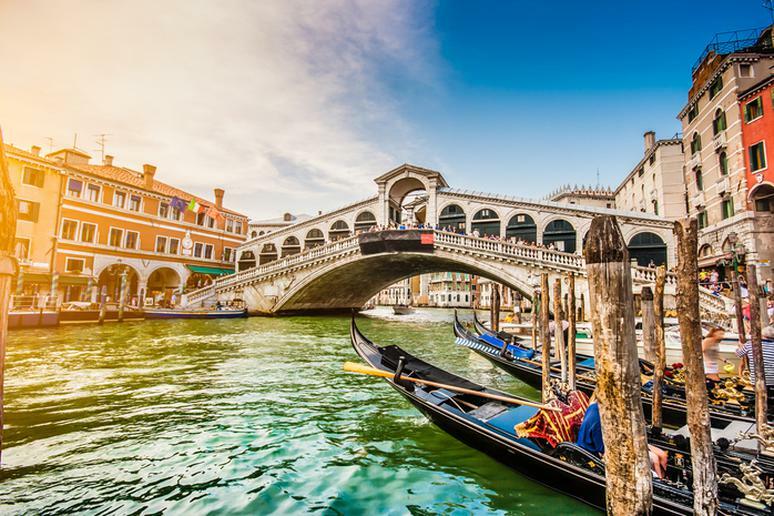 Some call it “the true heart of Venice.” It was finished in 1591, making it the oldest bridge across the canal, and wad designed to allow passage of galleys. The massive structure was built on 12,000 wooden pilings that still support it. The bridge was renowned as an architectural and engineering achievement of the Renaissance. 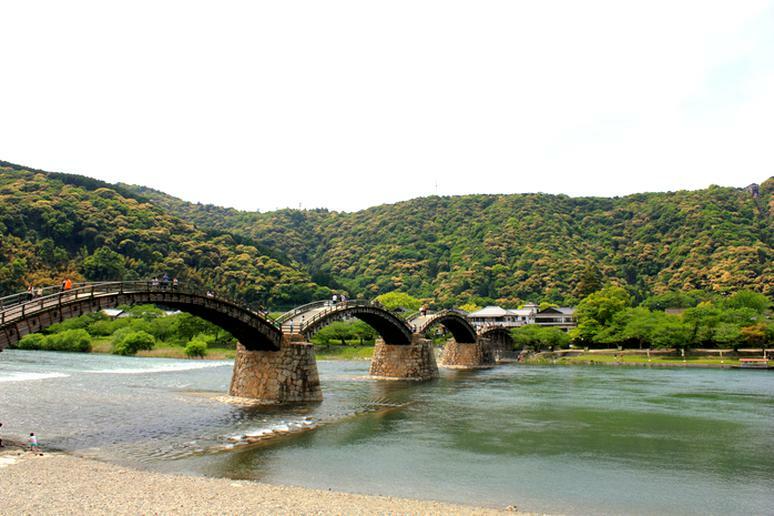 The Kintai-kyo Bridge has been Iwakuni’s most distinguished landmark for hundreds of years, according to Japan Guide. Completely made of wood, the bridge makes five bold arches onto massive stone pillars as it crosses over the Nishiki River. 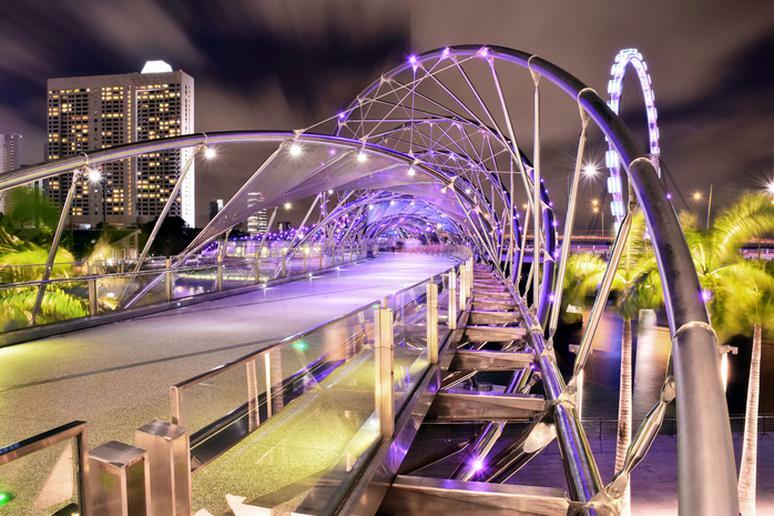 Unlike many famous pedestrian bridges in the world, visitors must pay a fee to walk across. The cable-stayed bridge is actually taller than the Eiffel Tower – 1,125 feet. This is one of the tallest bridge structures in the world. It’s sometimes used for extreme sports such as base jumping or rapelling. 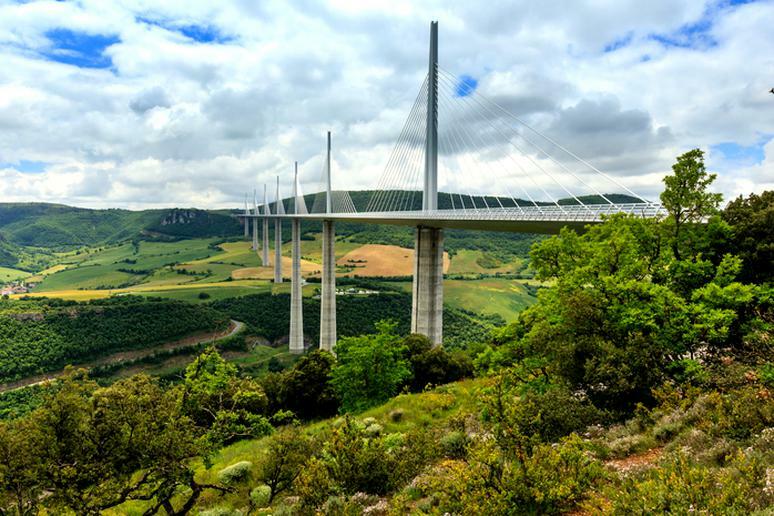 The bridge spans the Tarn River Valley in southern France. 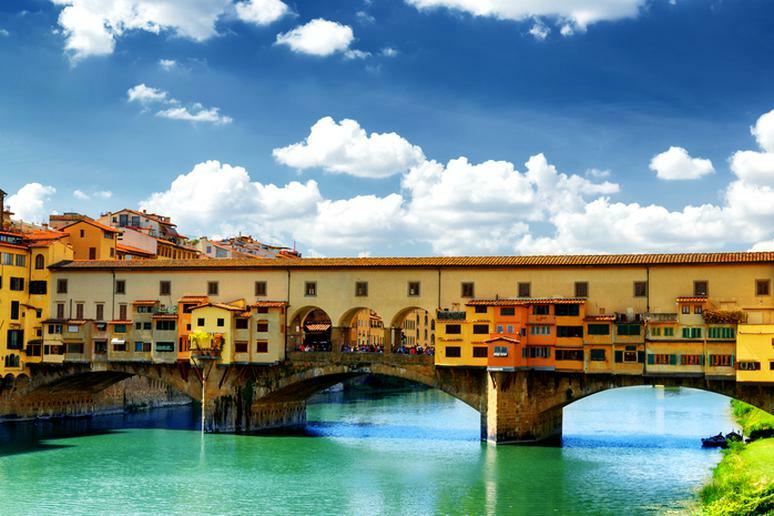 Built very close to the Roman crossing, the Ponte Vecchio, or Old Bridge, was the only bridge across the Arno in Florence until 1218, according to Visit Florence. The bridge was the only one across the Arno that was not destroyed during World War Two. Ponte Vecchio is known for its many shops, especially for jewelry, which have been there since the 13th century. Walking across this bridge is on the Great American Bucket List. 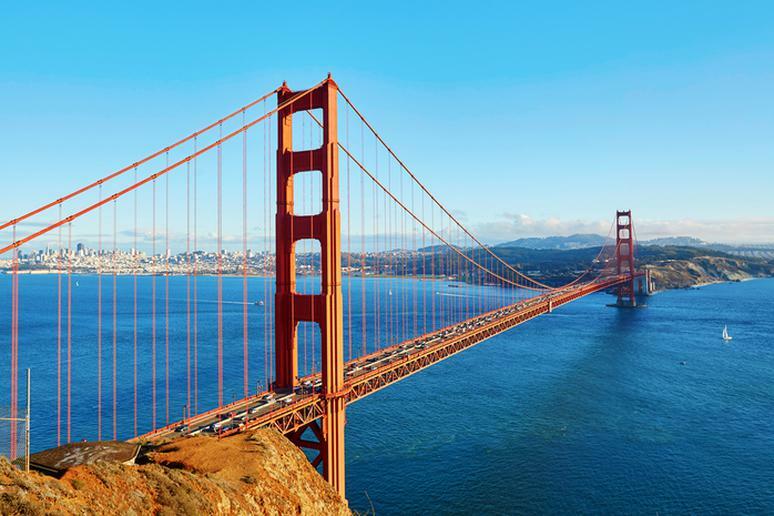 The suspension bridge spanning the Golden Gate strait between San Francisco Bay and the Pacific Ocean is an iconic U.S. landmark. The name is even protected by Streets and Highway Code. 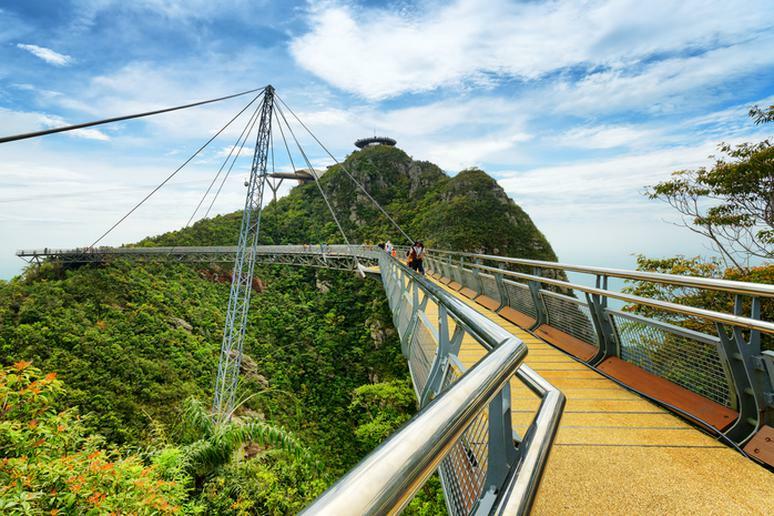 Walking on this curved suspended bridge feels like your hanging high up in the sky. To make the experience even scarier, walk on some of the glass floors to see through the ground. The bridge connecting mountains is made of steel that hangs at an altitude of about 700 meters above sea level and is supported by a single pylon in the middle. 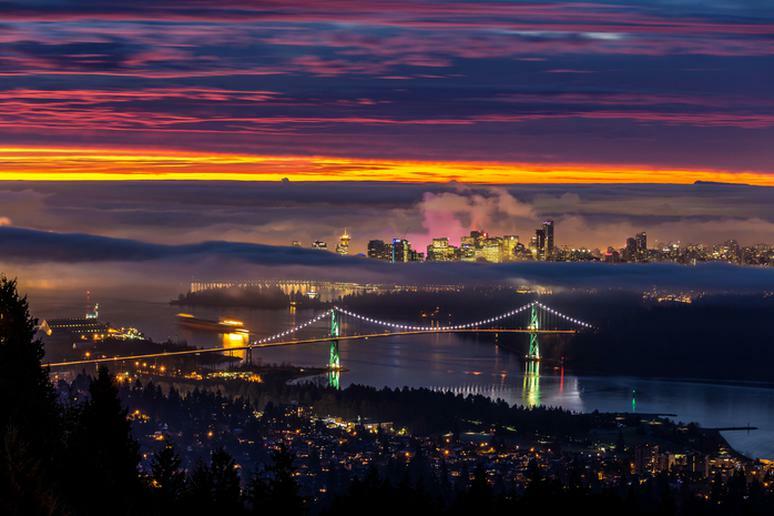 Lions Gate Bridge spans Burrard Inlet at the First Narrows, connecting Stanley Park and Vancouver’s city center to the North Shore. It provides a scenic view of the harbor and surrounding areas. The Guinness family paid exactly $5,873,837.17 to build the bridge and sold it for that same amount to the province in 1955. This is the world’s first bridge that looks like human DNA. The pedestrian only structure, which is 919 feet long, was built in 2010 and is one of the city-country’s most celebrated landmarks. Thousands of LED lights lite up at night, making the view even more spectacular. 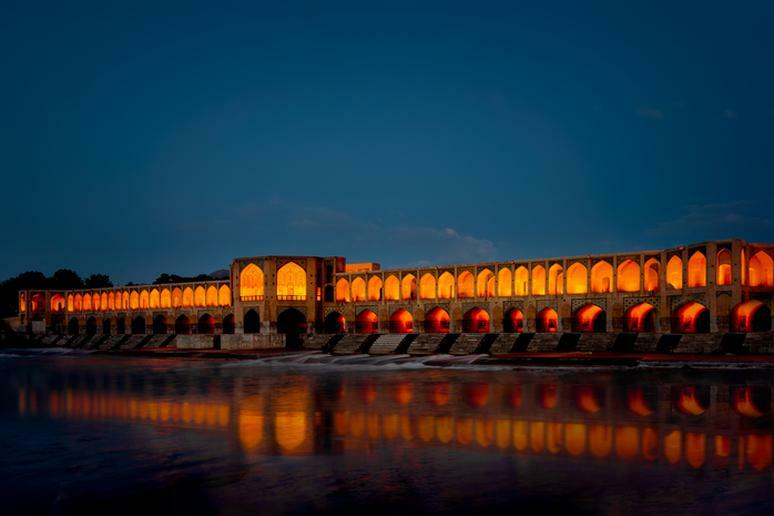 The Khaju Bridge, which is 433 feet long and 40 feet wide, has two floors. 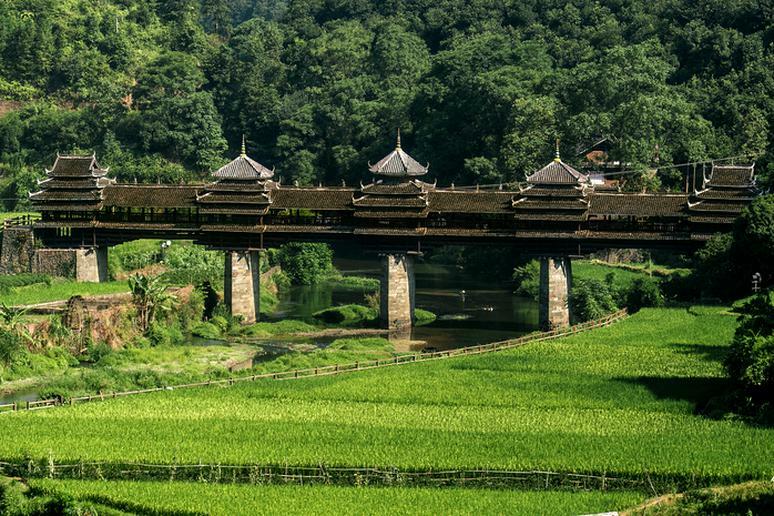 The famous 17th century structure was built as a magnificent recreational place. Steps in front of the bridge and arches in the first deck have been used to relax and listen to the sound of water. It was used as a dam, too. Constructed with wood and stones, and not a single nail or rivet, the bridge’s surface is paved with wooden boards and both sides are inlayed with railings. On the bridge itself, there are five tower-like kiosks with “horns” and eaves that resemble the flapping wings of birds, according to Travel Guide China. 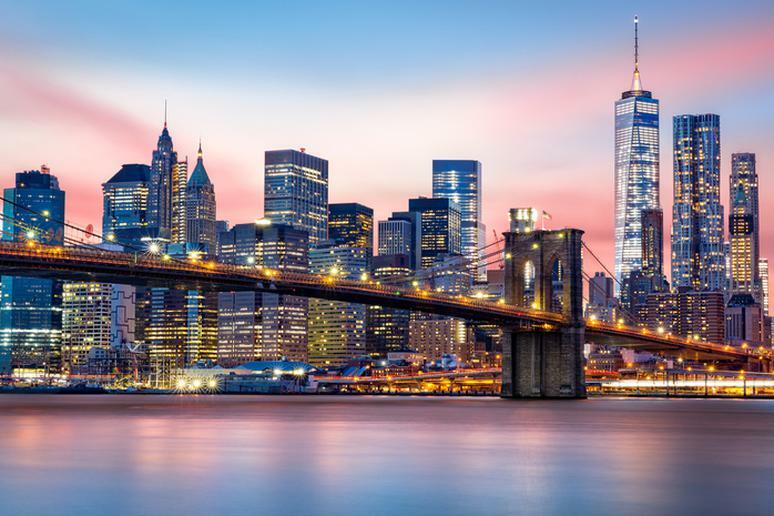 The Brooklyn Bridge is one of the most famous tourist hot spots in the entire world. And it’s free to walk or bike on it. It is 5,989 feet long. With its unprecedented length and two stately towers, the bridge was dubbed the “eighth wonder of the world.” Opened in 1883, this iconic feature of the New York City skyline still carries roughly 150,000 vehicles and pedestrians every day, according to the History Channel. The bridge connects Seville’s old quarter with La Cartuja Island. The groundbreaking structure lures visitors who come to see its architectural beauty and originality. 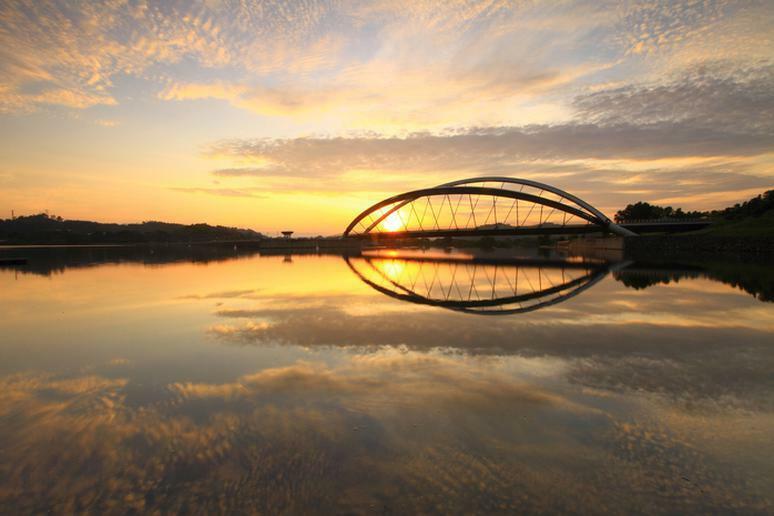 The harp-shaped bridge consists of a single pylon angled at 58 degrees. 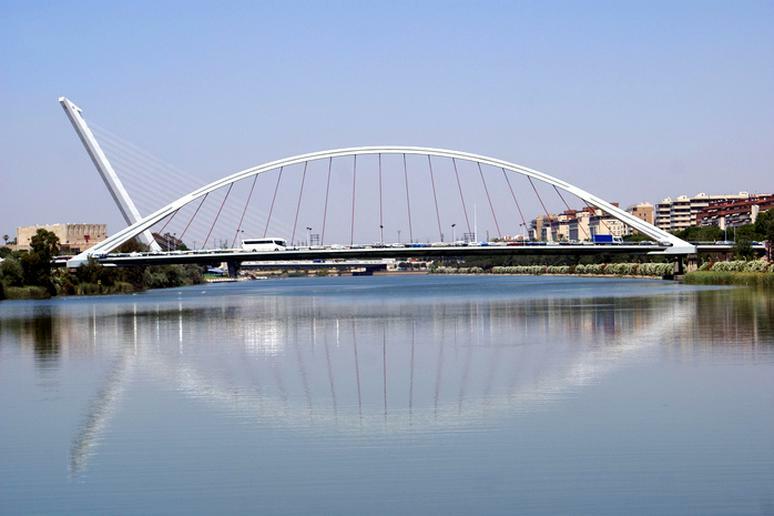 It is the only bridge in the world whose design doesn’t require a back anchorage, according to Spain Attractions. Few covered wooden bridges have old paintings, which illustrate scenes of Swiss and local history, under their roofs. It was constructed in the early 14th century. The bridge and water tower were part of the city fortifications. The northern bridgehead once led directly into St. Peter’s Chapel. The rocky stretch of California’s central coast between Carmel and San Simeon is a stunning place to visit. Make it a part of a once in a lifetime road trip if you have an extra day. 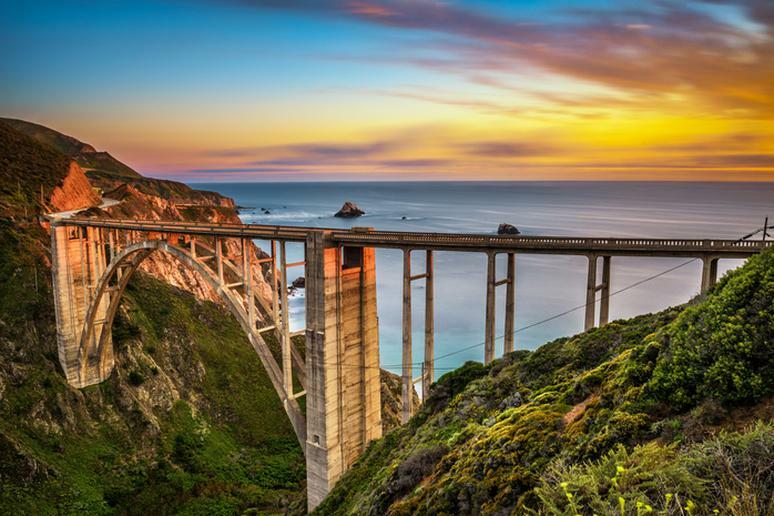 The Bixby Bridge, completed in 1932, is a favorite spot for photos. Artists and writers often go there for inspiration. 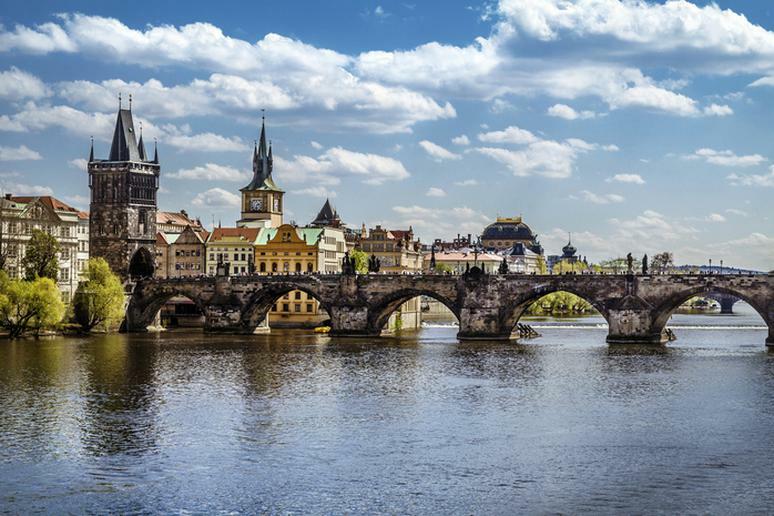 This is Prague’s oldest bridge. The stone Gothic structure, completed in 1402, connects the Old Town and Little Side (Malá Strana), a historic region near the capital. Baroque statues of saints began to be placed in the 17th century. Many of the originals are now in the Lapidarium museum.